Weddings by Mandalay Bay has been rated by local brides and voted The Knot Best of Weddings every year since 2011. Awarded by Las Vegas Bride Magazine: Best Wedding Chapel, Weddings by Water, Best Wedding Resort, and Five Star Awards. 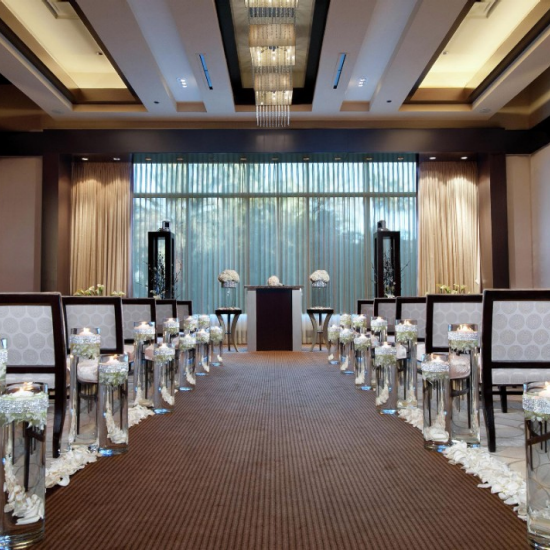 With over six unique ceremony locations and award winning catering, Mandalay Bay caters to all of your Las Vegas wedding desires. Weddings by Mandalay Bay invites you experience a day a special as your love. Walk down the aisle surrounded by family and friends in a traditional chapel setting or bring your event outdoors to our real sand beach. If you’ve always envisioned a location that may be unexpected say ‘I do’ within our Shark Reef Aquarium amongst an underwater audience or 64 floors top Delano Las Vegas overlooking the Las Vegas Strip. Whatever you’ve been dreaming of, we are here to make it a reality. Our wedding planners will ensure every detail is perfect. 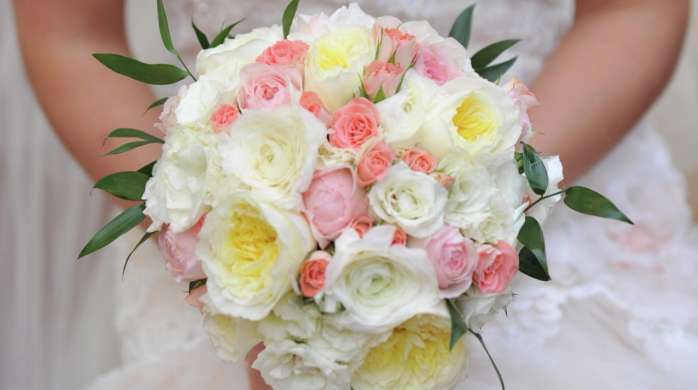 From the flowers to the food, our highly skilled wedding professionals can help you plan your perfect day. Saturday & Sunday 10:00 a.m. - 5:00 p.m.
From the front desk, begin walking through the casino floor towards Citizens Kitchen + Bar. Walk past KUMI and towards Stripsteak. Continue walking straight down the hallway past Border Grill and the Wedding Chapel will be on your left. From the parking garage, walk straight past LIGHT nightclub. Turn to the right at Lupo and walk past Citizens Kitchen + Bar, and past KUMI and towards Stripsteak. Continue walking straight down the hallway past Border Grill and the Wedding Chapel will be on your left.